River Raisin Canoe Livery Pntoon Cruises. 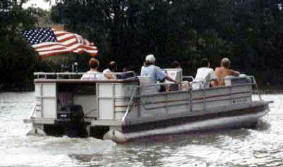 Pontoon Cruises currently unavailable at this time please call (734) 529-9029 to check availability. Camping and Pontoon Cruise reservations.